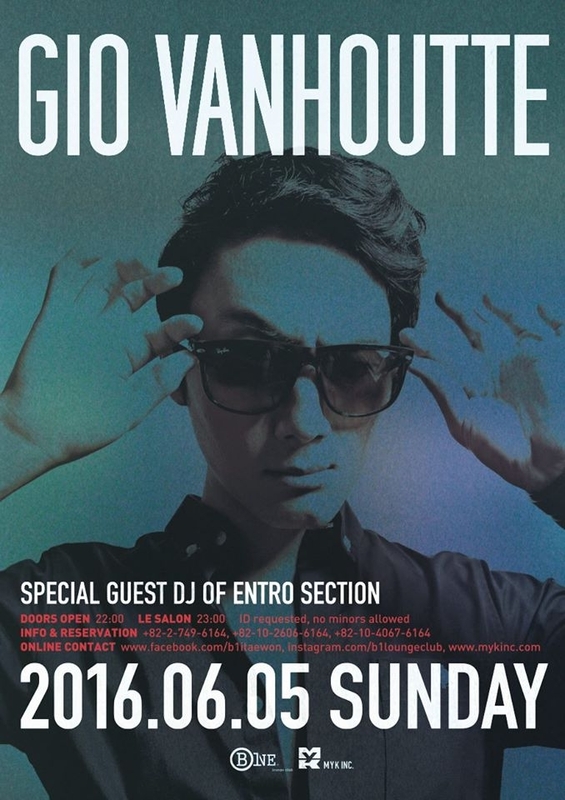 Korean-Belgian DJ Gio Vanhoutte is one of the uniqueness character in the international club scene. Gio has enlivened thousands of people in every corner of the globes by his both Asian and European sensibilities as well as powerful performances. As a international DJ, Gio is traveling all around the world and playing remarkable sounds in South Korea, Singapore, Taiwan, Thailand, Indonesia, Hong Kong, Russia, France, Belgium, Spain, America, Mexico and more!